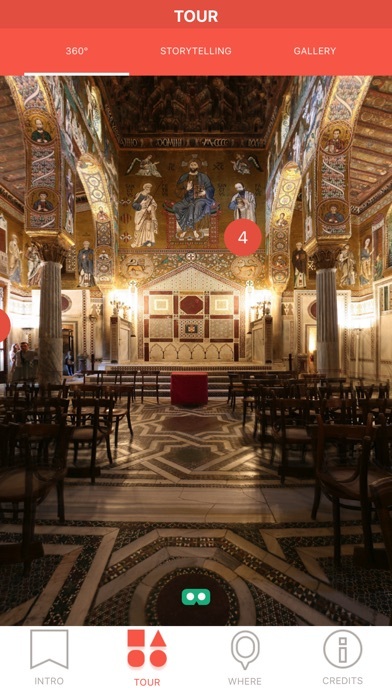 InformAmuse proudly presents: ◆ iPalatina: Your personal APP to visit the Palatine Chapel in Palermo (Sicily) ◆ ◆Sponsored by: WÜRTH◆ Placing yourself at the heart of the main nave, this APP will accompany your visit with a captivating narration. A stunning 360° view is at your fingertips for you to enjoy terrific decorations and muqarnas of Palatine Chapel. A new and exciting way to live your visit! 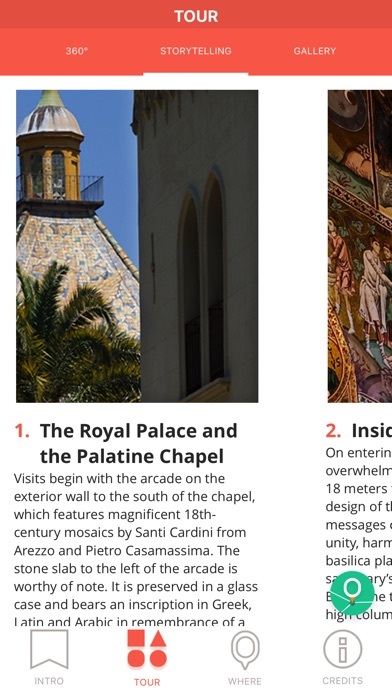 Features: ◆TOUR◆ Visit the Palatine Chapel from different point of view. ◆360°◆ A panoramic view of the Palatine Chapel, centered at the heart of the main nave. An immersive interactive experience from the comfort of your home. Also with your VR glasses. 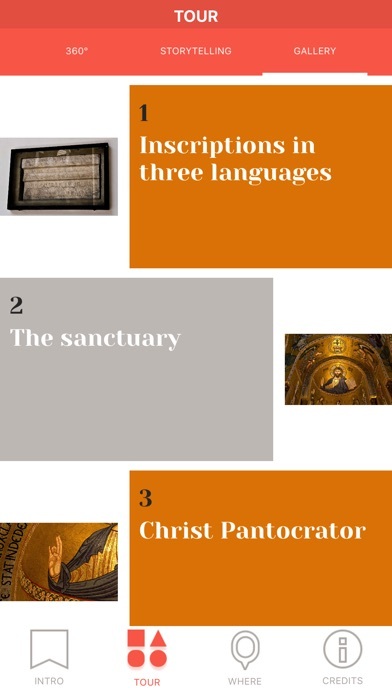 ◆STORYTELLING◆ A detailed description that lets you know the stories of the Palatine Chapel and its beauties. ◆GALLERY◆ A collection of selected images to allow you in-depth appreciation of this unique place. 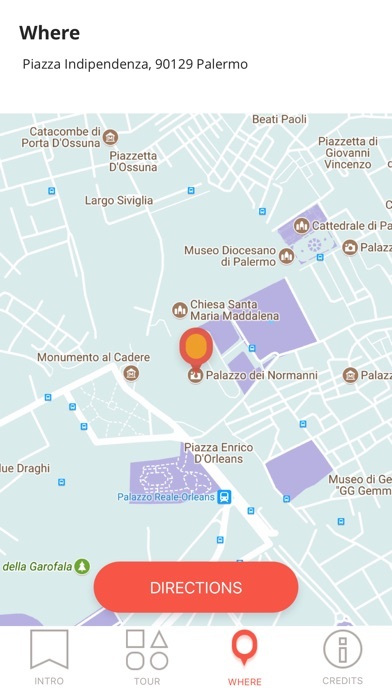 ◆WHERE◆ Get directions and reach the Palatine Chapel in just a few clicks. Like others are saying, the 360 degree view is amazing and this app really makes you feel like you are at the Palatine Chapel. The audio tour is great as well. Excellent job! Great images - cool app! This app features some of the best photography I have ever seen, but what makes it an outstanding value and cool app is the 360 panoramic viewer. I was amazed at how I can view the entire chapel with a touch and move control yet have an immediate super clear view. 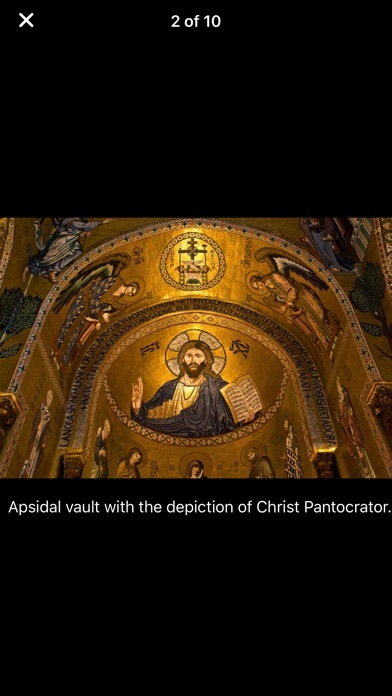 My wife and I want to visit this part of Italy and this experience has made the Palatine Chapel a target for us. I hope to see more of these apps for tourism as this is a great discovery tool for international travelers. What a great app. The tour section has some great videos (with audio commentary) of the different aspects of the chapel. Also, one other impressive aspect of this app is the 360º view—along with the touch screen interface, a true joy to play with. The photo gallery is of course as you'd expect, with some great shots. Overall, a beautiful design, and a flawless technical experience. Highly recommended if you collect apps that are well designed!